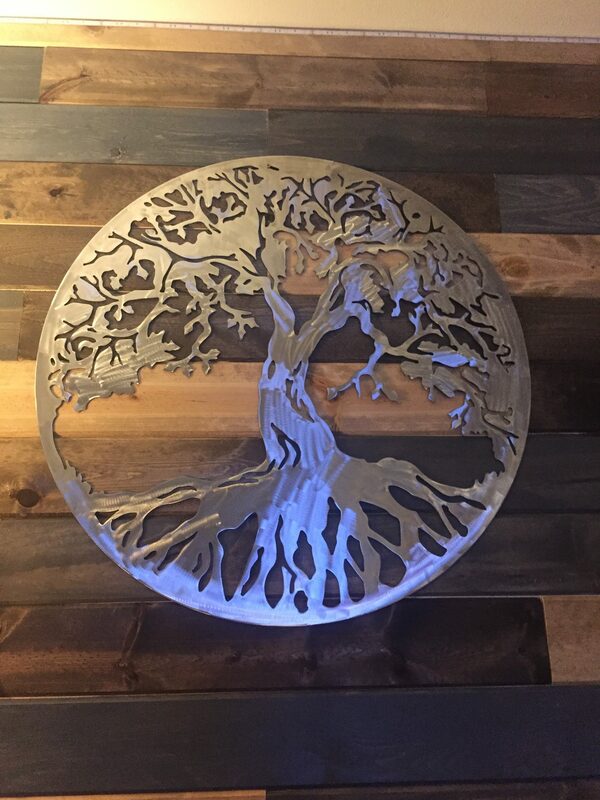 Local, quality CNC plasma cut fire rings and other metal art available in a variety of sizes and custom designs are now available at Cliff Industrial. With our new CNC plasma cutter, Cliff Industrial is capable of meeting any metal fabrication and / or metal art needs. Cliff Industrial’s CNC plasma cut capabilities include stainless steel, carbon steel and spring steel up to 5ft x 10ft & 1/2″ thick. Adding the CNC plasma cutter has given us the opportunity to make custom fire rings and other metal art. Many variables are considered when pricing our plasma cutting services, such as type and amount of material. Please contact us with your project details and we’ll get you a price estimate fast. 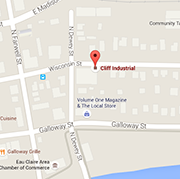 Next time you need a 2D piece cut out of sheet metal, give Cliff Industrial a call at 715-835-8314. The fire pits are 30in x 30in x 12in, made with 12 gauge steel, then paint with High temp Rust-Oleum engine paint, which helps with high heat and outdoor conditions. We can customize any design or logo you may be looking for. We also have a lot of design options to choose from. Corners can be welded or bolted with brackets, for disassembly and ease of moving. With prices starting at $125 and fast turnaround times for standard or custom models, these robust fire pits are a great addition to backyard decor! See a few of our stock options below or call us at 715-835-8314 to place an order now! Check us out on Facebook for more examples! At Cliff Industrial, we can customize any design you have using our CNC plasma cutter. Otherwise, we have multiple options to choose from. We finish the art with high temp Rust Oleum engine paint, leave bare metal, burn to get a mixed color, or paint. Metal art is 14 gauge carbon steel and is finished with any color you would like. See our standard stock options below! Call us today at 715-835-8314 to discuss your next design project or check us out on Facebook for more examples!